Let's connect and have some fun! Online parties are an easy way to earn hostess gifts and have fun with your friends without cleaning your house! There is no limit to who you can invite . I set everything up online - you invite your friends to join us and in a couple hours we are done! It's that easy and you earn the hostess incentives of up to 50% off your purchases! Now more than ever women want to connect and make real friendships. Invite your girlfriends over and host a Girls Night In Party to earn Hostess gifts and discounts! You invite a handful of friends and neighbors and I'll bring samples for everyone to try. Choose from a Spa Party, a Skincare party, a Makeup Party. or let’s customize a party just for you and your friends! Schedule your personal one on one appointment with Katie and get the complete treatment of anti-aging skincare and long-lasting color cosmetics. You will leave confident in how you look and feel! Katie will show you what products to use and how to use them. Katie will be your one stop shop for all your skincare and beauty needs. 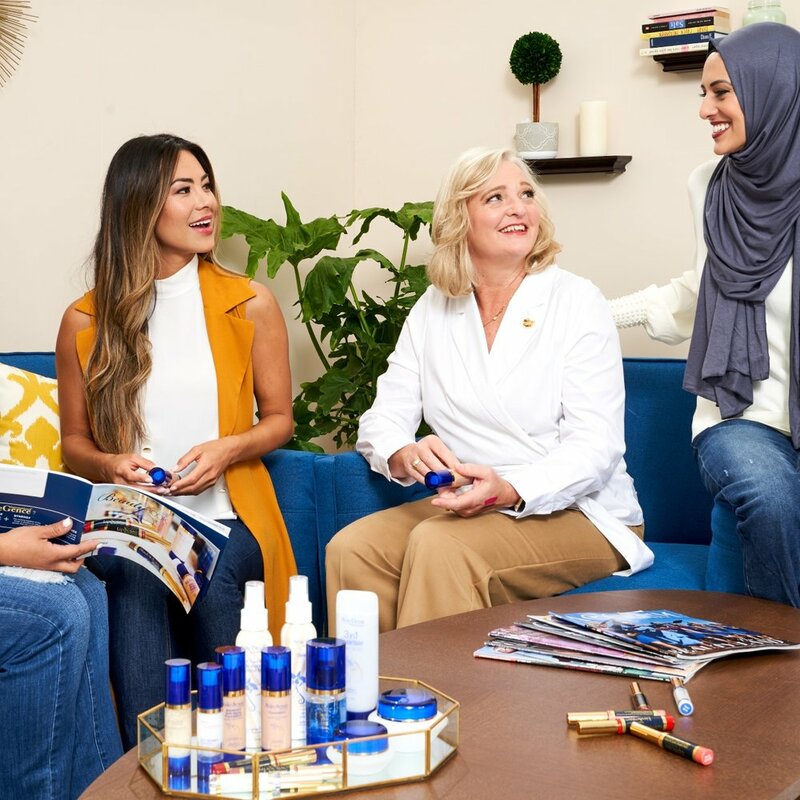 Whether you want to travel the world, earn unlimited additional income, connect with an inspiring community of like minded people, learn more about the newest technology in makeup and skincare or simply live your life on your own terms and with no risk, the choice is yours. SeneGence gives you the choice to love the products, love the lifestyle, or all of the above.